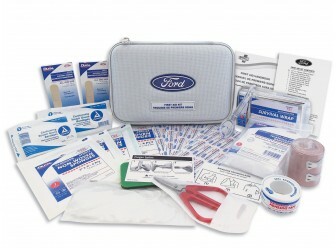 First Aid Kit - With Ford Logo. Put a First Aid Kit in your Vehicle Today and be Prepared for Nearly Any Situation! 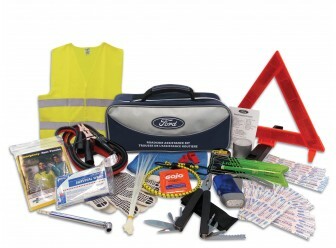 Our first aid kits keep your supplies in a fire-retardant, compact case that´s the perfect fit for nearly any vehicle. There´s even enough room for you to add your favorite topical antiseptic cream or analgesic. Cover Genuine Ford Crown Victoria Accessories In A Ford ESP Premium Care Plan. Depending on the Ford ESP Plan you select, some dealer-installed Genuine Ford Crown Victoria Accessories can be covered for up to 7 years or 100,000 miles. Details at your dealership. Demand for better fuel economy and performance has choked off sales over the years. The Crown Victoria and Town Car get just 24 miles per gallon on the highway, a figure matched by some large three-row SUVs today. Most cars today are built with so-called unibody engineering in which the body sides and roof play a role in keeping the body rigid. Crown Victorias were engineered with an old-fashioned body-on-frame design that's mostly used by pickup trucks today because, while heavier, it's better able to bounce back from heavy, punishing use. For some buyers there's no obvious replacement for these rugged cars.